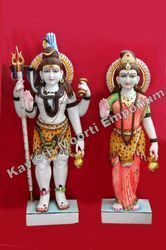 We are a leading Manufacturer of marble shiv parvati statue, marble shiv ardhanareshwar statue, white shiv parvati murti, marble ardhnareshwar statues, marble shiva parvati statue and marble shiv parivar statues from Jaipur, India. 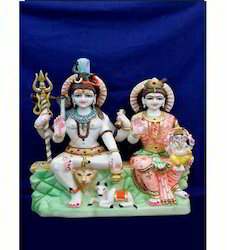 Marble Shiv Parvati Statue the marble made Lord Shiva Statue is a perfect example of our creativity. 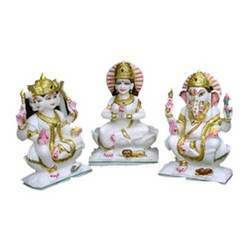 These statue are used and demanded by a large number of clients. 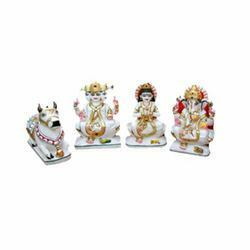 Our organization is counted among the prominent manufacturers of Marble Shiv Ardhanareshwar Statue. This statute includes half body part of Lord Shiv and half of Maa Parvati, hence called Ardhnareshwar. 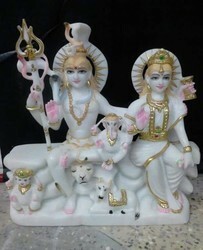 With wide and rich carving experience, we are able to offer a brilliantly designed White Shiv Parvati Murti. These collections of products are manufactured using imported variant of marbles with artistic workmanship. Our statues are renowned for its durability and design. 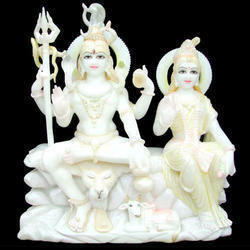 With wide and rich carving experience, we are able to offer a brilliantly designed Marble Shiva Parivar Statues. These collections of products are manufactured using imported variant of marbles with artistic workmanship. Our statues are renowned for its durability and design. 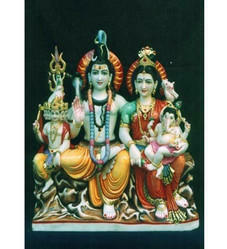 We hold the expertise in incising a wide range of God & Goddess statues. Our sculptors and artisans are involved in chiseling and hammering on marbles to give it an adorable shape. 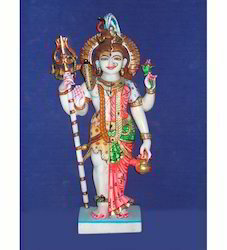 God & goddess idols are carved to make it significant in spiritual rituals. These idols remind the togetherness and living as a family. Moreover, it is a symbol of ancient Indian mythology. 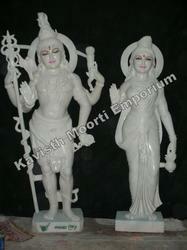 With wide and rich carving experience, we are able to offer a brilliantly designed White Marble Shiv Parvati Moorti. These collections of products are manufactured using imported variant of marbles with artistic workmanship. Our statues are renowned for its durability and design. 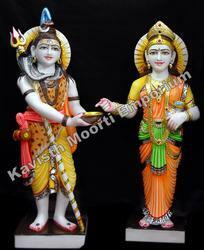 We are offering a wide range of Marble Gauri Shankar Statue. 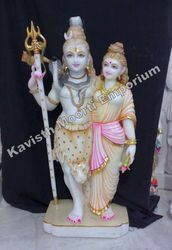 We are offering a wide range of Marble Shiv Parvati Statue. 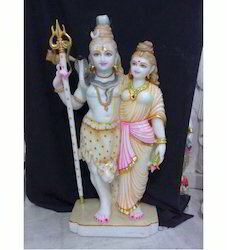 We are offering a wide range of Marble Shiv Parivar Statue.